Are You Ready To Grow Your Business With Social Media? 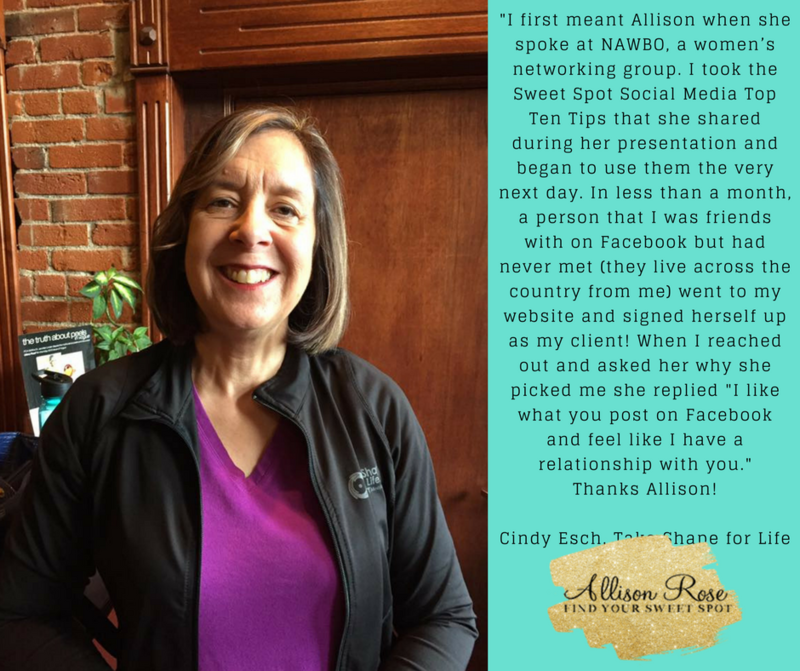 Find Your Social Media Sweet Spot with my exclusive coaching program! 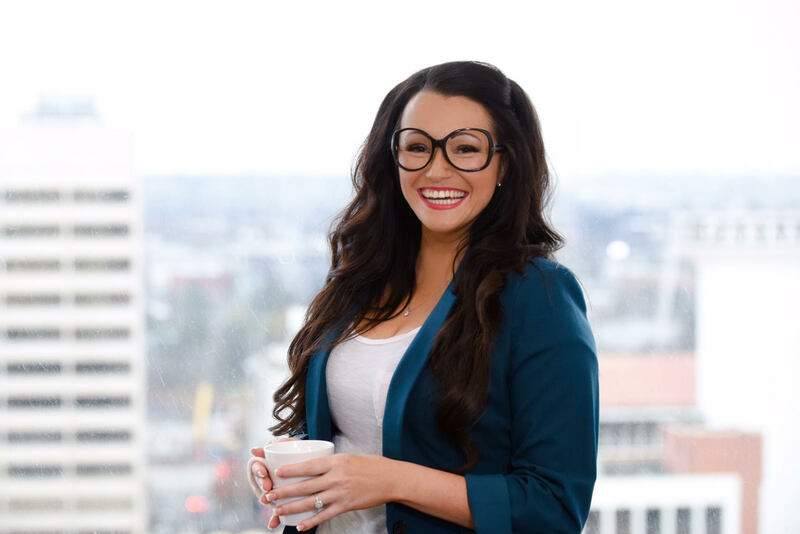 This coaching program is for startups, Network Marketers, and small business owners with limited resources, who want to learn how to establish and build their brand using social media. 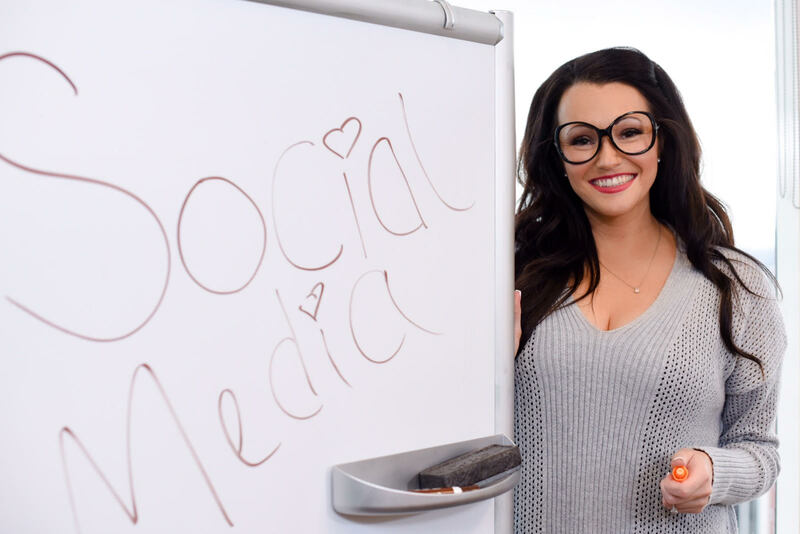 Get the Social Media Training you need for the next level. CONNECT WITH YOUR CLIENTS & PROSPECTS AND GROW YOUR BUSINESS. 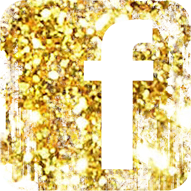 The Sweet Spot is an online coaching program designed to navigate the complex field of social media. I will personally give you the tools to design a Social Media strategy and help you and your business reach the success you deserve. WHO IS THIS WOMAN? 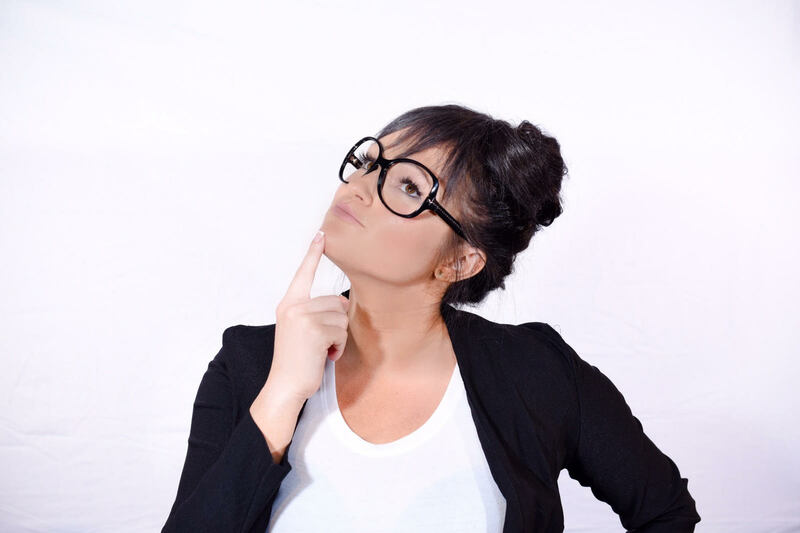 LADYBOSS, SOCIAL MEDIA GURU, MYTH, OR MEGA ENTREPENEUR? I started my entrepreneurial journey so that I could leave a 70-hour job I didn’t love nor enjoy anymore. I was in an industry that would never make a difference in the world, and this didn’t fuel my soul. There are many reasons WHY people become entrepreneurs: personal satisfaction, creative independence or financial autonomy — the list goes on. Yet all of these have one thing in common. At the core, they all are about freedom. This is a big part of my WHY. My WHY, is the drive behind my passion and I want to help your WHY become a reality. 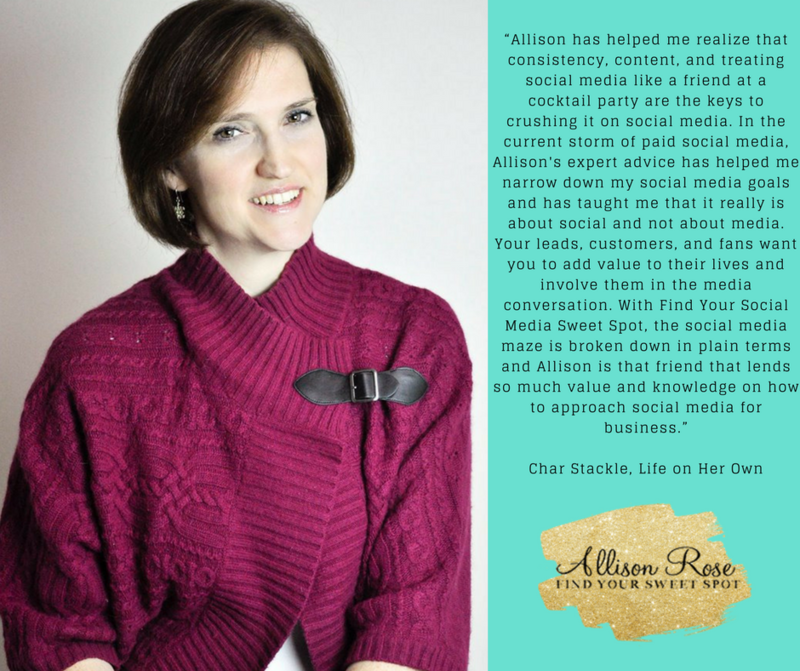 The effects of your WHY can trickle down into every area of your business, and it all starts with Social Media. That is why training or a good Spokane social media coaching program is so vital. It took me years to realize that I wanted to be my own boss, make more money and help change the lives of others. My expertise comes from experience, trial by error, extensive research and plenty of failures. It is these life lessons that have made me equipped to lead you through your Social Media journey. There were so many times that I considered throwing in the towel, and I almost did; but then a divine intervention occurred! I finally found my Social Media Sweet Spot and it changed everything. 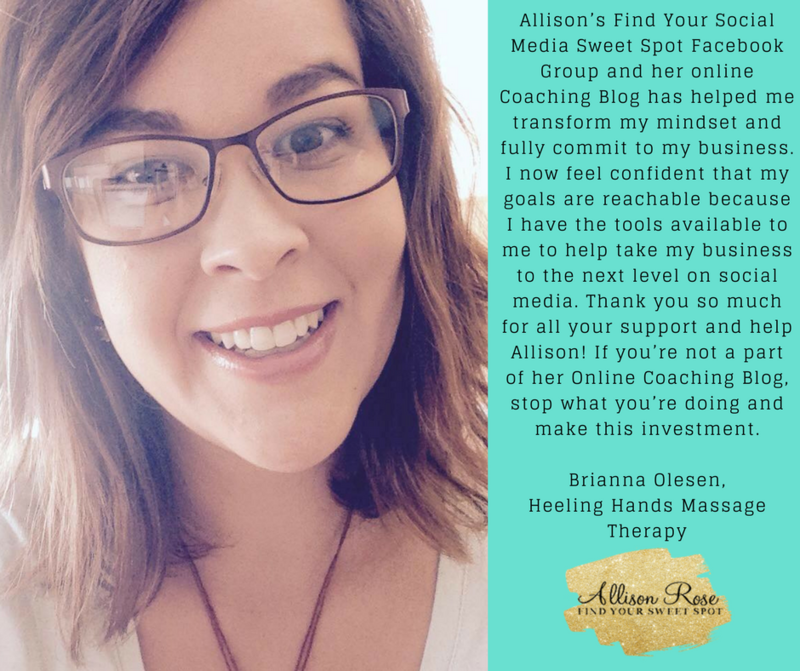 For the first time, business was booming, I stopped feeling stressed about income and struggling to make ends meet, and I could focus on making my clients happy and providing them with the world-class service they deserved! My goal is to use my expertise to help other entrepreneurs find the hidden revenue opportunities in Social Media so that they too can achieve the success they dream of. My WHY, is the drive behind my passion and I want to help your WHY become a reality. The effects of your WHY can trickle down into every area of your business, and it all starts with Social Media. What Members Are Saying about The Sweet Spot…. I hope you’ll find this to be one of the most comprehensive social media resources available, and that no matter what your skill level is, there’s plenty in here to help you improve your social presence. What are we waiting for? Let’s get social! These are lessons that I release throughout the month on a specific social media and business topic. When you are logged into your Sweet Spot dashboard, you can access lots of different categories. My recommendation is that you start in an area that is most relevant to your challenges. Take advantage of my LIVE CHATS. This is a tremendous opportunity for you to ask questions about Coaching Blogs that you have read or any other obstacles you are encountering. These chats are like mini coaching sessions with me! On Tuesday’s I invite paid Sweet Spot Members to share their business with the group. This is a great way to network with a group of like-minded individuals! If you are a paid member of the Sweet Spot, you will also have access to some of my other services. So if you need additional help, this is a great feature. When logged into your Sweet Spot Dashboard, to the right is a button that allows you to access this. 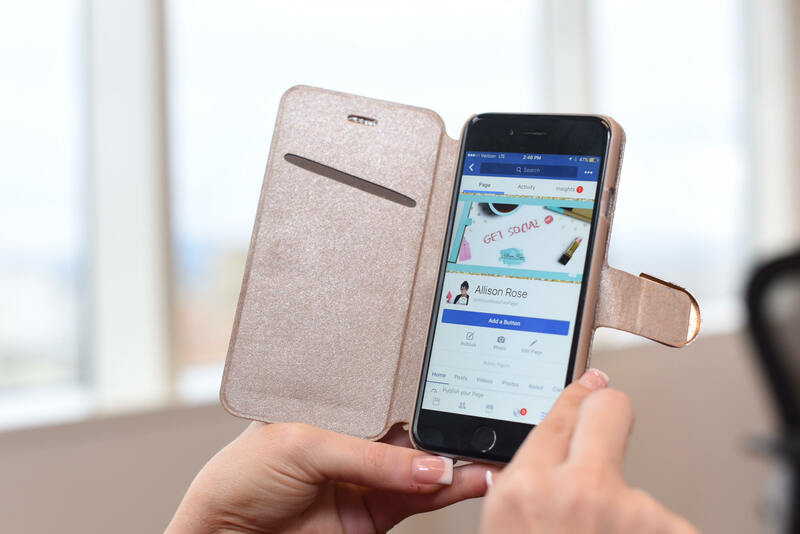 If you are a paid member of the Sweet Spot, you will receive significant discounts on Social Media Workshops that I offer outside of this forum. I will often recommend books that I find beneficial and offer a course where people can read the book alongside me and discuss. I will assign chapters and in our discussions I will give you action items pertaining to what you have read.